We are excited to announce that we will be visiting Marina, one of Oceania Cruises‘ luxury ships on Wednesday 16 August. 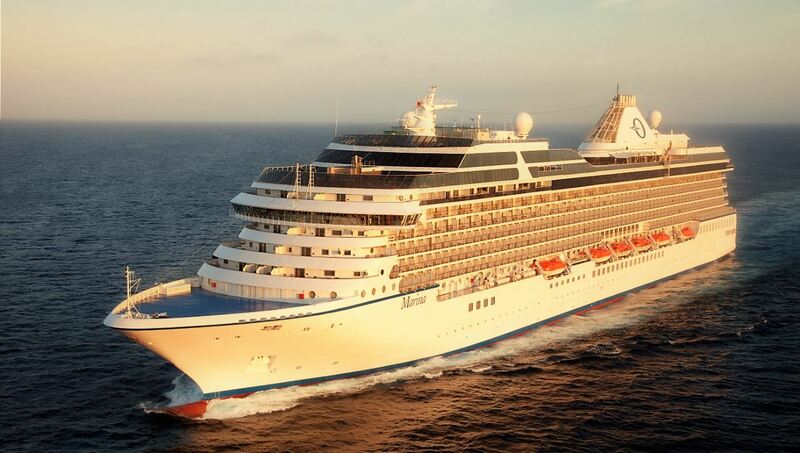 It will be the first time we board one of Oceania’ cruise ships and we are really looking forward to discover what sets Oceania apart from other upscale cruise lines. Formed in 2002, Oceania Cruises offers a vacation experience renowned for its gourmet culinary program inspired by Master Chef Jacques Pépin and its array of destination-rich itineraries spanning the globe. Oceania Cruises offers diverse voyages, calling on more than 400 ports across Europe, Asia, Africa, Australia, New Zealand, the South Pacific and the Americas. Oceania Cruises’ fleet consists of 6 ships, the 684-guest Regatta, Insignia, Nautica and Sirena and the 1,250-guest Marina and Riviera.